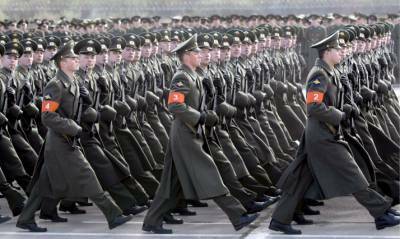 The Best Armed Forces on the Planet: America or Russia? Relevant article selected from the GR archive, first crossposted on GR in January 2017. While some dismissed this as rather ridiculous hyperbole, others have asked me to explain how I came to that conclusion. I have to admit that this paragraph is somewhat ambiguous: first I make a specific claim about the capabilities of the Russian military, and then the “evidence” that I present are of a moral and political nature! No wonder that some expressed reservations about this. Next, I submit that the purpose of a military force is to achieve a specific political objective. Nobody goes to war just for the sake of war and “victory” is not a military, but a political concept. So yes, war is the continuation of politics by other means. For example, the successful deterrence of a potential aggressor should be counted as a “victory” or, at least, as a successful performance of your armed forces if their goal was to deter. The definition of “victory” can include destroying the other guy’s armed forces, of course, but it does not have to. The British did win the war in the Malvinas/Falkands even though the Argentinian forces were far from destroyed. Sometimes the purpose of war is genocide, in which case just defeating a military forces is not enough. Let’s take a recent example: according to an official statement by Vladimir Putin, the official objectives of the Russian military intervention in Syria were to 1) stabilize the legitimate authority and 2) create conditions for a political compromise. It is undeniable that the Russian armed forces fully reached this two objectives, but they did so without the need for the kind of “victory” which implies a total destruction of your enemies forces. In fact, Russia could have used nuclear weapons and carpet bombing to wipe Daesh, but that would have resulted in a political catastrophe for Russia. Would that have been a “military victory”? You tell me! Yet, what we see, especially in the USA, is a diametrically opposite approach. It goes something like this: we have the best trained, best equipped and best armed military on earth; no country can compete with our advanced stealth bombers, nuclear submarines, our pilots are the best trained on the planet, we have advanced network-centric warfare capabilities, global strike, space based reconnaissance and intelligence, we have aircraft carriers, our Delta Force can defeat any terrorist force, we spend more money training our special forces than any other country, we have more ships than any other nation, etc. etc. etc. This means absolutely nothing. The reality is that the US military played a secondary role in WWII in the European theater and that after that the only “kinda victory” it achieved is outright embarrassing: Grenada (barely), Panama (almost unopposed). I would agree that the US military was successful in deterring a Soviet attack, but I would also immediately point out that the Soviets then also successfully deterred a US attack. Is that a victory? The truth is that China also did not suffer from a Soviet or US attack, does that mean that the Chinese successfully deterred the Soviets or the Americans? If you reply ‘yes’ then you would have to accept that they did that at a fraction of the US costs, so whose military was more effective – the US or the Chinese one? Then look at all the other US military interventions, there is a decent list here, what did those military operations really achieve. If I had to pick a “least bad one” I would reluctantly pick the Desert Storm which did liberate Kuwait from the Iraqis, but at what cost and with what consequences?! There is no Schadenfreude for me in reminding everybody of these facts. My point is to try to break the mental reflex which conditions so many people to consider the US military as some kind of measuring stick of how all the other armed forces on the planet do perform. This reflex is the result of propaganda and ignorance, not any rational reason. The same goes, by the way, for the other hyper-propagandized military – the Israeli IDF whose armored forces, pilots and infantrymen are always presented as amazingly well-trained and competent. The reality is, of course, that in 2006 the IDF could not even secure the small town of Bint Jbeil located just 2 miles from the Israeli border. For 28 days the IDF tried to wrestle the control of Bint Jbeil from second rate Hezbollah forces (Hezbollah kept its first rate forces north of the Litani river to protect Beirut) and totally failed in spite of having a huge numerical and technological superiority. Another myth which must be debunked is the one of western technological superiority. While it is true that in some specific fields the Soviets were never able to catch up with the West, microchips for example, that did not prevent them from being the first ones to deploy a large list of military technologies such as phased-array radars on interceptors, helmet-mounted sights for pilots, supercavitating underwater missiles, autoloaders on tanks, parachute deployable armored vehicles, double-hulled attack submarines, road-mobile ICBMs, etc. As a rule, western weapon systems tend to be more tech-heavy, that is true, but that is not due to a lack of Russian capabilities, but to a fundamental difference in design. In the West, weapon systems are designed by engineers who cobble together the latest technologies and then design a mission around them. In Russia, the military defines a mission and then seeks the simplest and cheapest technologies which can be used to accomplish it. This is why the Russian MiG-29 (1982) was not a “fly-by-wire” like the US F-16 (1978) but operated by “old” mechanical flight controls. I would add here that a more advanced airframe and two engines instead of one for the F-16, gave the MiG-29 a superior flight envelope. When needed, however, the Russians did use fly-by-wire, for example, on the Su-27 (1985). In conclusion, I want to come back to my statement about Russia being the only country which now openly dares to reject the western civilizational model and whose leader, Vladimir Putin, enjoys the support of 80%+ of the population. These two factors are crucial in the assessment of the capabilities of the Russian armed forces. Why? 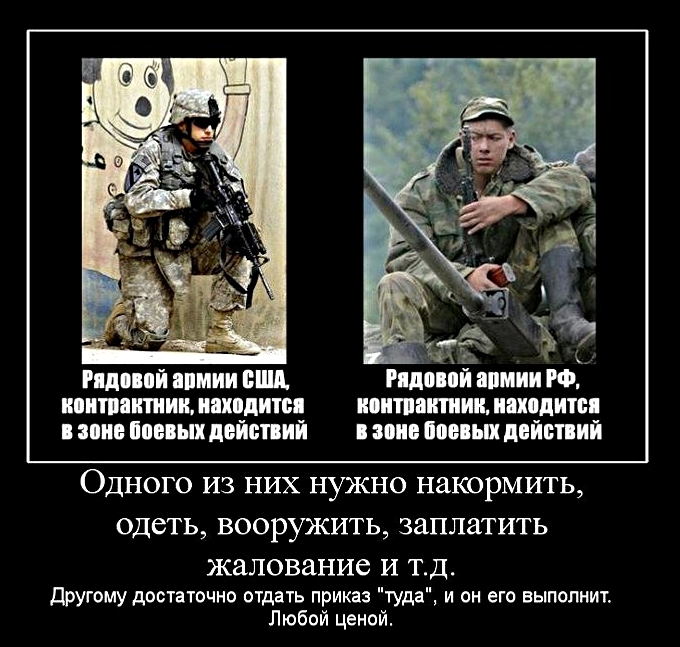 Because they illustrate the fact that the Russian soldiers knows exactly what he fights for (or against) and that when he is deployed somewhere, he is not deployed as a tool for Gazprom, Norilsk Nickel, Sberbank or any other Russian corporation: he knows that he is fighting for his country, his people, his culture, for their freedom and safety. So yes, Russia currently does have the most capable armed forces on the planet. There are plenty of countries out there who also have excellent armed forces. But what makes the Russian ones unique is the scope of their capabilities which range from anti-terrorist operations to international nuclear war combined with the amazing resilience and willpower of the Russian soldier. There are plenty of things the Russian military cannot do, but unlike the US armed forces, the Russian military was never designed to do anything, anywhere, anytime (aka “win two and a half wars” anywhere on the planet).